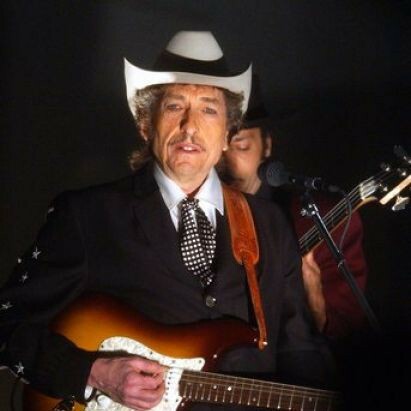 The first Bob Dylan concert that I ever attended took place on June 11, 1988 at Copps Coliseum in Hamilton (a large hockey arena built by the city to attract an NHL hockey team that the Toronto Maple Leafs made certain would never be placed there; it’s now known as the FirstOntario Centre). 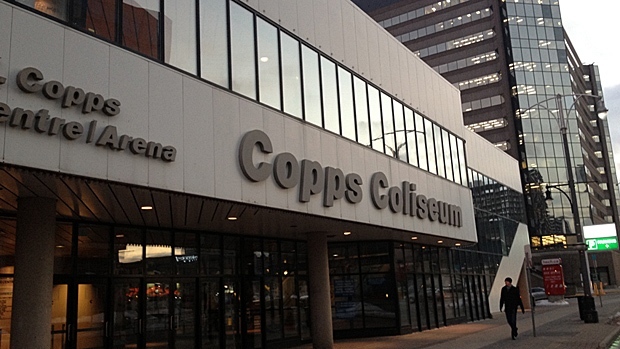 Copps was a fairly new building at the time (opened in 1985), and I recall that its acoustics were superior to those of Maple Leaf Gardens, the venue that Dylan had been regularly playing in Toronto in the 1960s. I remember that I went with five friends from high school, which had just ended for me a few weeks before. One of those five was the girlfriend who had broken up with me on my eighteenth birthday three weeks earlier, so that was fun. I guess that’s the problem with buying tickets in advance. I know that one of the others was my friend Marc, who was very interested and knowledgeable about music, but not at all a Dylan fan. For some reason I can’t actively remember who the other people there were. Probably friends of the ex-girlfriend. I know that none of them were particularly Dylan fans. I kind of remember that they all thought the show was lousy, but they were happy to see The Jam, who opened the show. This was a relatively early show on what is now known as the Never-Ending Tour, which began in June 1988 (Bjorner says it was show #22). Dylan was supported by a band led by G.E. Smith, the guitarist for Saturday Night Live who was famous for leering into the camera as that show went to commercial. Dylan’s earlier tour that year had featured Neil Young on guitar (Young was in a similar career slump at the time). Things I remember: Dylan wore a leather vest and leather pants. The mix was somewhat awkward. He played an awful lot of hits. My friends felt that he hadn’t played enough of his hits and that he was an old man. I remember thinking that the show was pretty damn good. Seriously, that is as close as you can get to an all Dylan hits show. Obviously, the addition of “Blowin’ in the Wind” would’ve pushed it even further, but he only did three non-1960s songs, and one of those was on the pop charts at the time. Some people are never happy. Re-listening to the show today, I don’t like it that much – I have a lot of 1980s bootlegs that I greatly prefer. I’ve never recalled this as one of the best Dylan shows that I saw, probably because I went with an ex-girlfriend and a bunch of people who complained the whole time. Just another Dylan disappointment. I do have to say, though, the most interesting thing that I’ve learned from doing this project and reading through the accounts of Dylan’s extensive touring is that I have seen Dylan far fewer times than I always thought that I had. There has seemingly been a great expansion in my mind on this subject. For instance, I would have been certain that I saw Dylan prior to 1988, but I now know that I didn’t. People keep asking me how often I’ve seen Dylan, and I thought it was dozens of times, but now I don’t think it is even a dozen in reality. There is something about my memory that is really playing tricks on me when I cross-check it against the historical record. I definitely would have placed this show earlier in my own personal musical biography. On edit: I graduated from high school in June 1987, not 1988. So my ex- would have been a full year’s ex- by this point. So now I can’t figure out why we were there together at all. The mystery deepens. On edit: The Jam broke up in 1982. Who the hell opened this show? On edit: It has been suggested to me that The Alarm opened numerous shows for Dylan in 1988. But who would confuse The Alarm for The Jam even a quarter century later? Also, I have now come to believe that I was at this show with an entirely different group of friends, but that they still didn’t like the show.